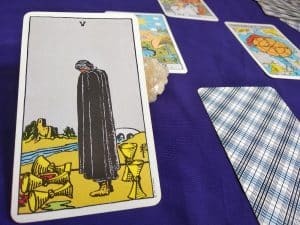 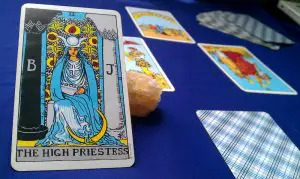 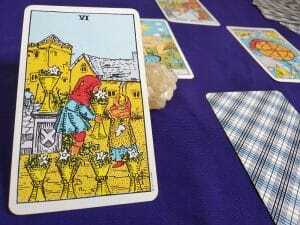 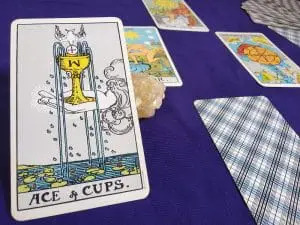 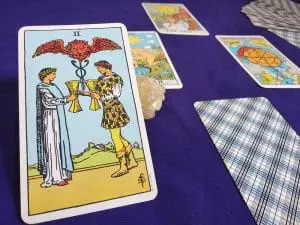 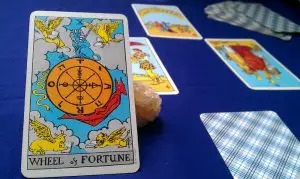 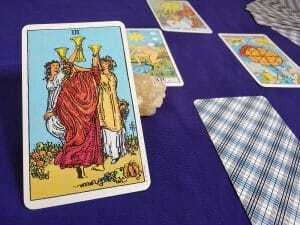 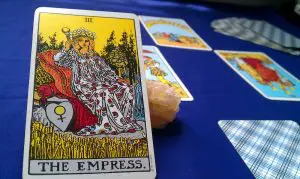 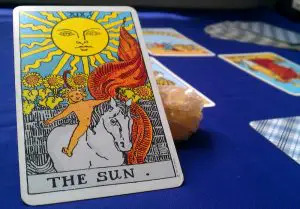 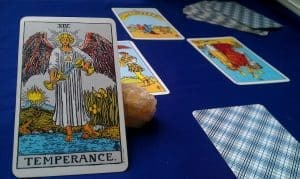 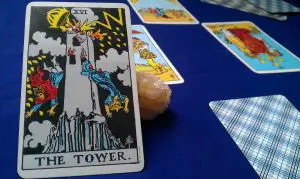 Discovering the Rider-Waite Tarot cards and their meanings, their symbology and messages will help you to decipher your fortune, expand your intuition, and enhance ability when spreading tarot cards. 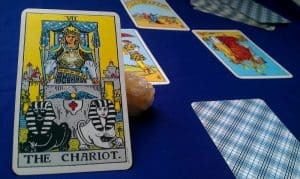 Finding the secret meanings behind each image of the Rider-Waite Tarot in their upright and reversed positions will allow you to understand your path and foresee the obstacles the future might hold. 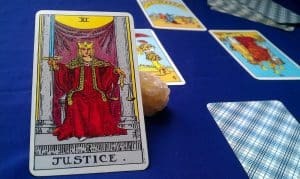 By knowing the history, symbolism and hidden concepts in each of the 78 cards of the deck, you will be able to decode the message the Tarot Trumps have for you. 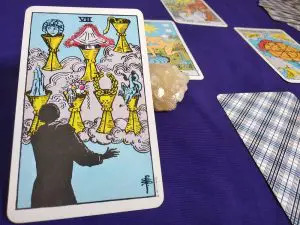 You’ll grow in the art of understanding each unique combination of cards formed in every spread, in any given moment of your life. 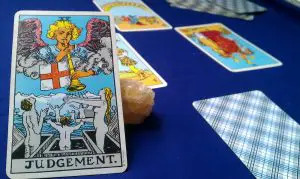 Whether it’s for love, for business or for asking about an illness recovery, the answers will be at your fingertips. 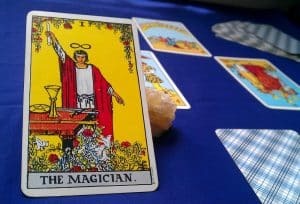 The transformation that comes before death, all the tricks that the Magician keeps under his cloak and the love decision we must take after each cupids error, all of that and even more you’ll find in our Tarot card meanings and descriptions. 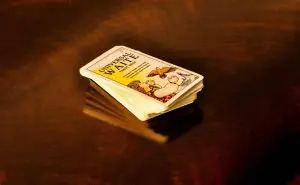 Depending on the spread method of your preference, we offer you the meaning of each card: on its upright and reversed position so you can organize the contents of each question to the cards. 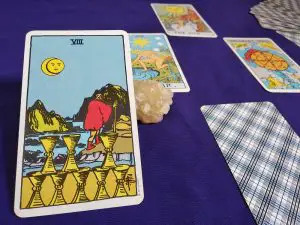 Starting with the tarots Fool, protecting ourselves only with our instinct, wit and innocence we’ll accompany him on a journey of courage, purity, and life lessons, that will guide us towards our unconscious fears and wisdom that reflects not only what’s taking place in the here and now, but in our past, in our reality perception placed in front of our eyes through the cards energy. 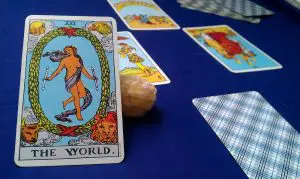 That Major Arcana or Minor Arcana card that, by merely “chance” appear in front of us, becomes a mirror that reflects our own facts appreciation and value system. 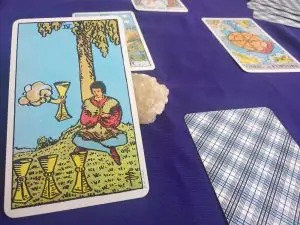 Let curiosity and experience guide you to the answer you’ve been looking for so long, it is time to learn to look for the answers inside of you.